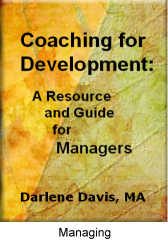 Coaching for Development: A Resource and Guide for Managers introduces practical coaching strategies, and the processes and tools managers need to guide and support employees in their career planning and development. 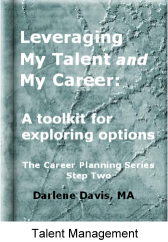 You will learn how to use the Career Options Model to guide your employees in developing their careers to their fullest potential. Gain an understanding of the four types of career coaching and how to effectively use each type. Acquire coaching strategies that will help you plan and conduct effective career discussions with your employees. Explore the dynamics of the multigenerational workplace and the beliefs, experiences, values, attitudes and expectations each generation brings to the job. Gather tips on how to bridge the generation gap, avoid conflict, and implement strategies to manage each generation effectively. Be introduced to Seven Surefire Recognition Tips. Develop a strategy to acknowledge a star performer on your team. Recognize the value of fun in the workplace. 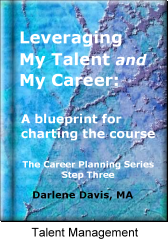 Leveraging My Talent and My Career is a 3-step career planning series. 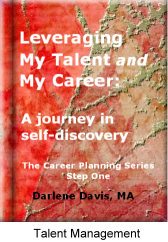 The series is a powerful and practical guide for; charting your future, identifying your unique style and preferences, clarifying your values, and enhancing your career potential. You will find relevant and useful information, interactive feedback in the form of queries and responses, exercises and activities, and much more. 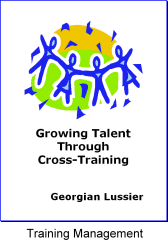 Assessing the need for cross training in your company. 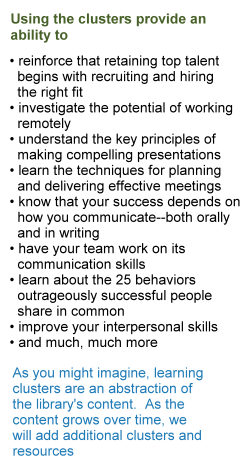 Defining management's role in cross training. Implementing one-on-one training for back-up purposes. Creating a job rotation program to staff for the future. Setting a tone of continuous learning in your company. Based on extensive cross-training experience, the author guides you through a practical thought process and points out possible pitfalls. The book emphasizes the importance of a manager's commitment to helping employees increase their skills and contributions. By Vicki H. Escude, M.A., M.C.C. 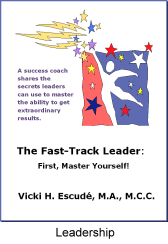 Mastering the ability to have clarity and get results in your career and life. Handling fear by inviting effortless change. Keeping your focus as you lead others toward realizing their potential. Setting stretch goals that add meaning to your life. Learning tips for creating the balanced, exciting and satisfying life you want. You will move toward becoming a leader who demonstrates mastery, satisfaction, and fulfillment in life. These powerful concepts and tools will support your leadership development whether you are an executive, manager, team leader, internal and external coach, or anyone who chooses success!